Delafield police say a retail theft at a Kohl’s department store led to a police pursuit Thursday afternoon. 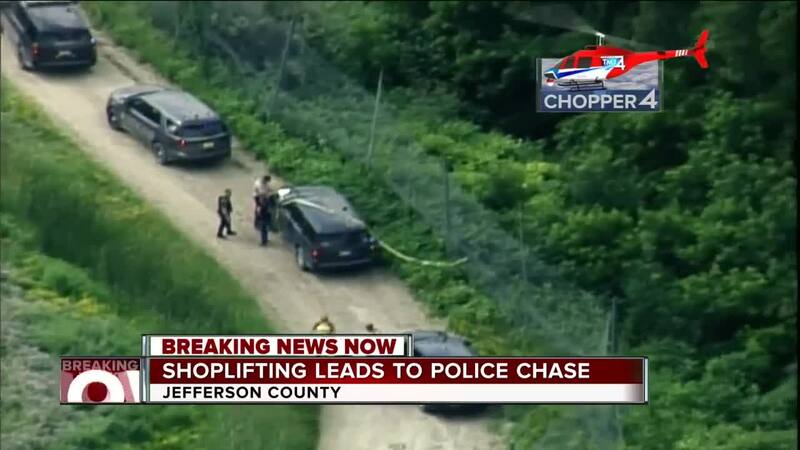 In a news release, police said the suspects were spotted in a rental van. Officers tried to talk to the suspects, but a woman ran away on foot while two men drove away in the van. Police attempted to stop the van but the driver ignored emergency lights. Officers called off the pursuit due to the traffic conditions and erratic driving. 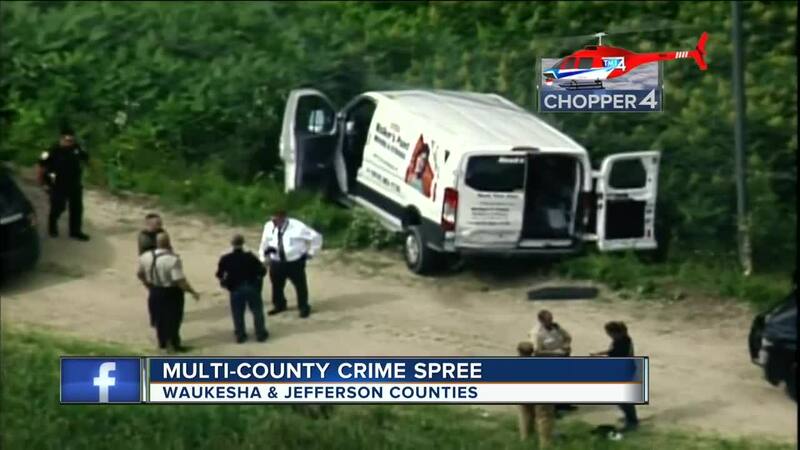 After police stopped chasing they learned the van was stolen from Milwaukee. A passerby spotted the van and called the sheriff with information on the suspects' location. A chase started again, and the van used a median turn around area to get on I-94 at speeds higher than 100 mph. Deputies and state patrol used stop sticks. They also used evasive measures to avoid getting hit by the car. One officer fired a shot. A Johnson Creek Police officer was hit by the van while in his squad car. The officer was not injured. The chase ended near a landfill when the van crashed after veering off the road. Both suspects were taken into custody. One was hospitalized for a non-life-threatening gunshot wound. Chopper 4 was later over a scene involving a white van, that had crashed on the side of an access road in the Johnson Creek landfill. No officers were injured in the pursuits or the crash.